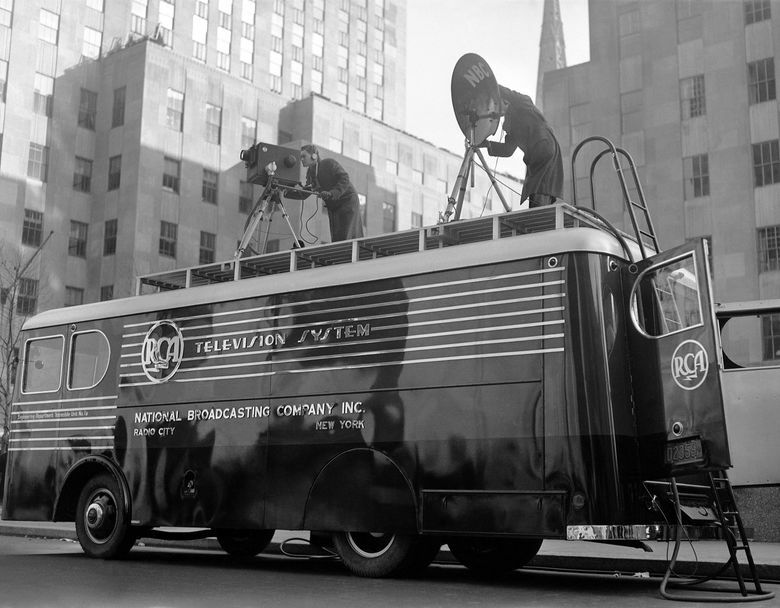 Or maybe 1939, when the RCA Television Pavilion opened at the New York World’s Fair with the exciting news that RCA’s National Broadcasting Co. would expand from radio into TV, and, to spread the word, telecast the ceremony to the scattering of 2,000 TV sets throughout all of New York City. 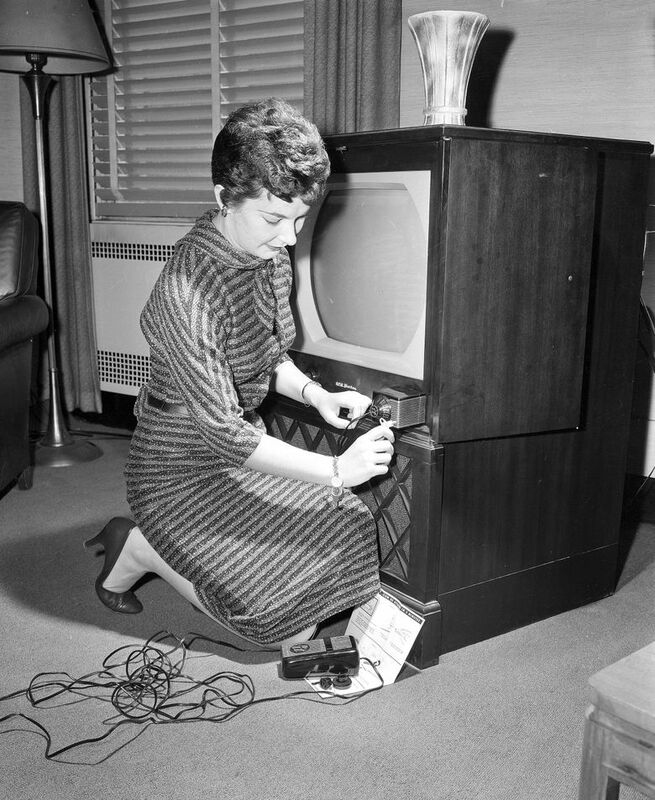 But the handiest year for TV’s genesis is 1946 — when technology, optimism and renewed consumer buying power joined forces at World War II’s conclusion and gave broadcast television a belated kick-start. 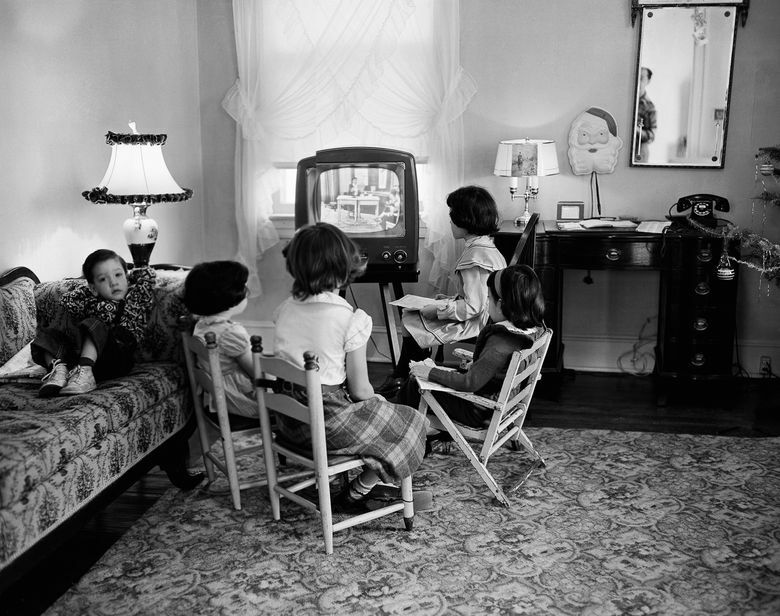 TV was key to the world baby boomers were born into: a newly modernized world where every problem (with the possible exception of the Cold War) seemed to point to a solution that was just around the corner. Polio would be cured! Man would go into space! Electricity, thanks to atomic energy, would soon be “too cheap to meter.” Even African Americans, oppressed for so long, had new reason for hope. Granted, there wasn’t much prime-time network programming in the fall of 1946, and what there was seemed targeted to adults (including Gillette-sponsored sports every Friday on NBC and, on the DuMont network every Wednesday, TV’s first soap opera). But kids were squarely in the sights of TV programmers by December 1947, when “Howdy Doody” premiered on NBC as a weekday children’s show. Set in fictional Doodyville, where stringed puppets cavorted with its flesh-and-blood host, “Buffalo Bob” Smith, “Howdy Doody” during its 13-year run would prove to be a huge hit, and much more: a formative influence on nearly every baby boomer’s childhood. For a glimpse of early boomers, check YouTube for archived clips of “Howdy Doody,” which welcomed kids to the Peanut Gallery, the name it coined for its studio audience. Captured on vintage ’50s kinescopes, those youngsters represent a TV face (albeit made up, regrettably, of only white faces) of the surging boomer generation. Then, on Jan. 19, 1953, Lucy and Ricky Ricardo celebrated the birth of a son on “I Love Lucy” — the same day the sitcom’s star, Lucille Ball, gave birth to a son with her real-life husband and leading man, Desi Arnaz. Thus did TV and the boomers grow up together. 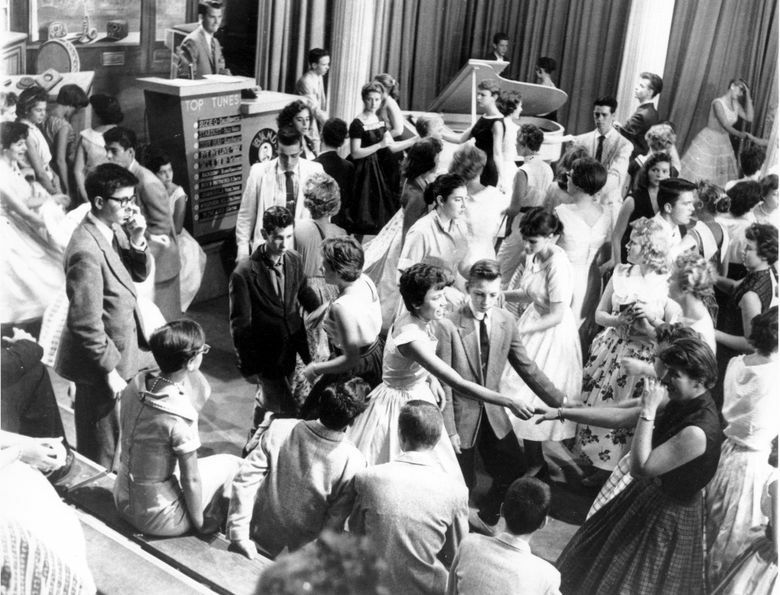 And as the nation overall embraced television’s early offerings, such as Milton Berle’s comedy revue, Ed Sullivan’s variety hour and “Lucy,” youngsters realized they had a special bond with TV. 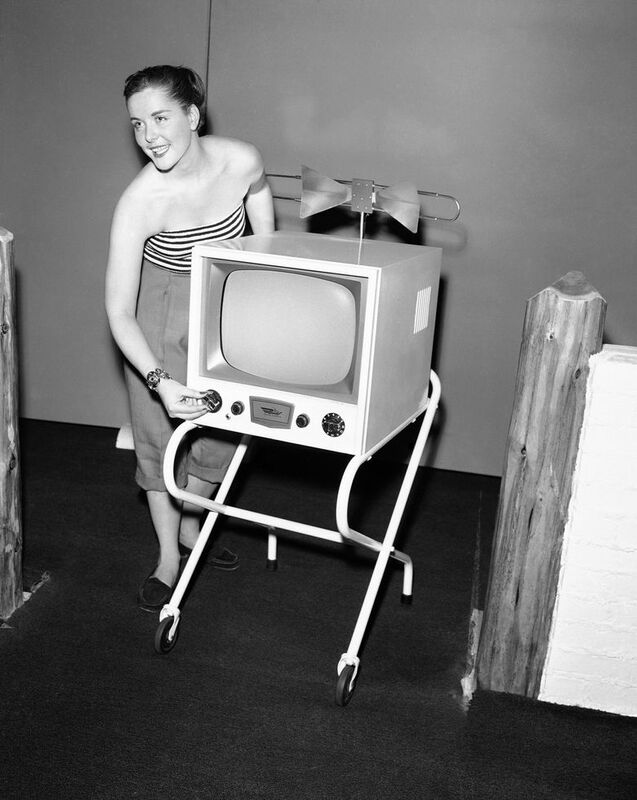 Today, more than a half-century later, the TV experience isn’t nearly so much about viewing as immersion. It doesn’t just bring the world to the audience, it IS the world. As TV merges with the natural world, it also continues to merge with other screened devices, further increasing its presence.